There arent many things in life more important than forgiveness. 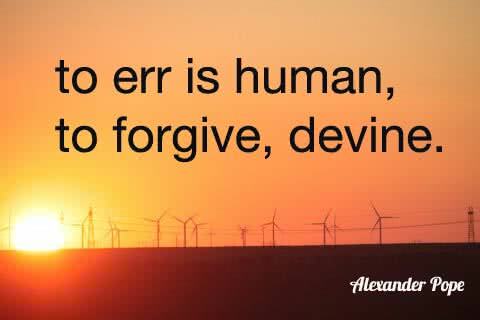 As Christians, we understand that we all make mistakes, and that we must learn to forgive, as God forgives us. Below are a few sample prayers for forgiveness. Submit your prayer request below to ask God for forgiveness. short I am having a hard time letting go of my shame and accepting your forgiveness. forgiveness as long as we confess our sins to You and repent. and I pray for your mercy and the strength not to make the same mistakes again. There are many circumstances when we need to ask to be forgiven. One of the more common circumstances that we see in prayer requests, is asking for forgiveness after an infidelity. We must learn to forgive even after the most hurtful of actions. but we know, Lord, that it is Your will that we learn to forgive. What others do should never impact our walk with you, God. We need to be able to learn to forgive even the most painful breach of trust. and give us peace and healing for our broken hearts. The word of God offers us guidance on how to forgive our neighbors, and ourselves. Prayer Request: Post Your Own "Prayers for Forgiveness"